Tiger is back! One of the most dominant athletes of all time starts his comeback this week at the Hero World Challenge at Albany Golf Course in the Bahamas. This no cut event contains 17 of the best golfers in the world and Tiger Woods. There are a lot of storylines heading into this week but many of them have been overshadowed by the return of Tiger. With such a small field, our DraftKings roster construction options are limited. I will be playing lighter amounts on DK this week due to the small field size. The ease of duplicating rosters limits upside in tournaments coupled with the unpredictability of the players withdrawals can ruin lineups and do damage to your bankroll. Tiger Woods: Will his back hold up under pressure for four rounds? What can we expect out of him this week? Albany is one of his home courses and it suits him well as it is fairly forgiving off of the tee. 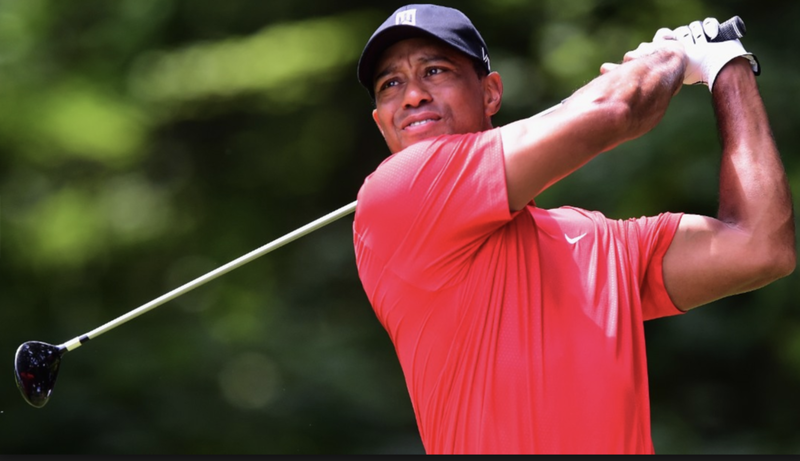 My prediction is that he will finish 15th and record at least one round 68 or lower…..just enough to allow mainstream media to be in awe and claim that Tiger may be back. Justin Rose: Rose owns a house at Albany and has been on an absolute tear recording eight straight top 10s worldwide including two wins. I am a bit scared of him this week as he has to be exhausted with all of the travel and he did withdraw here last year. I think he is a valid option this week due to his price at $8,600, but don’t go overboard on the number of lineups that you have Rose in. Tommy Fleetwood: Fleetwood has travelled as much as Rose going from continent to continent over the past 6 weeks. He might finally be coming down from his high of winning the Race to Dubai and looking ahead to his wedding which is shortly after this event. Will he be fully focused this week? It’s a tough choice because he is at a bargain price of $6,800. Patrick Reed: His wife is pregnant with their second child and the baby is due on December 6th. I would expect him to withdraw during the event should he get the call from his wife. Take caution rostering Reed. Henrik Stenson: Stenson always seems to be a withdrawal risk as many people have been burned by his three mid-event withdrawals over the past 18 months. I think Fowler wins this week. I expect it to be a birdie fest and we know that Rickie can contend with the best of them when birdies need to be made. He has finished third each of the last two years at Albany so he is definitely comfortable at this venue. He comes in a bit under the radar this week with all the media talking about Tiger and Justin Thomas. Fowler has quietly finished runner up in two of his last three starts. Don’t be surprised to see the media talking about Rickie come Sunday. I think people will be flocking to JT and DJ this week at the top of the salary tier which should leave Spieth the lowest owned of the three. Spieth’s game fits the course perfectly as it is a second short course and he is arguably the best iron player and clutch putter in the field. Follow me on Twitter @friedeggpaulie to stay up to date on all fantasy related news as well as the best value bets for each and every round.